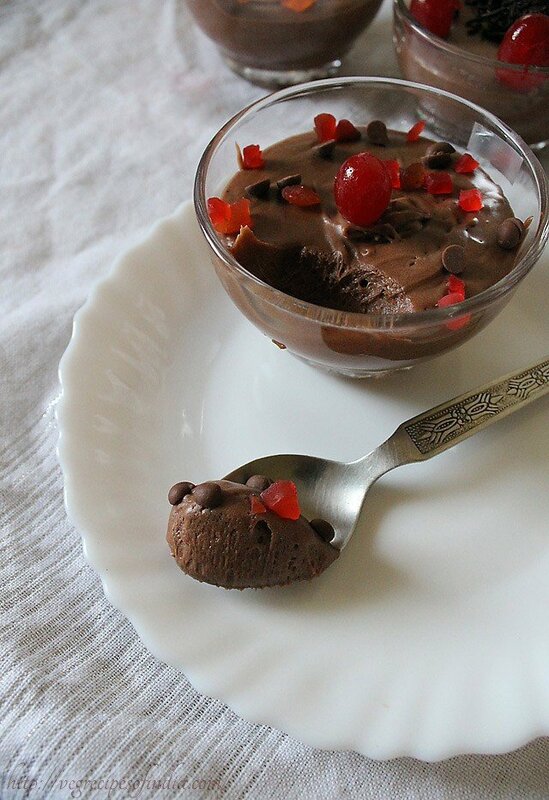 this eggless chocolate mousse recipe is completely vegetarian as it also does not use any gelatine. chocolate mousse recipe with step by step photos – this chocolate mousse is made in just 20 minutes… the refrigeration takes 4 hours…. and… your chocolate mousse…. 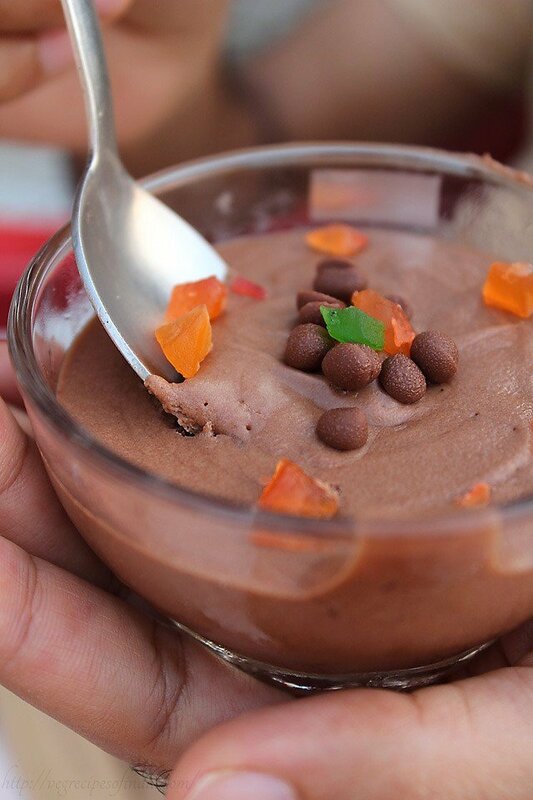 oops… eggless chocolate mousse is ready. 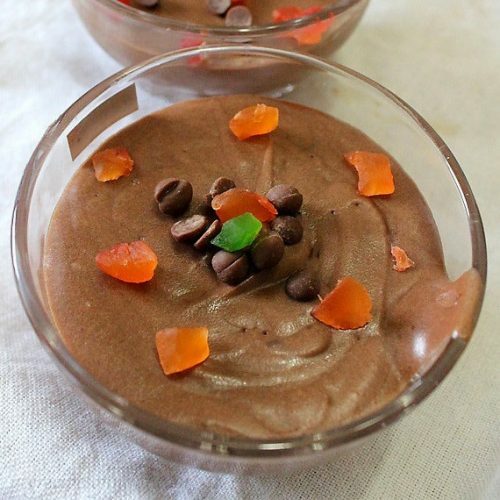 this chocolate mousse recipe is completely vegetarian as it also does not use any gelatin (or gelatine). i like chocolate mousse… but without eggs. the thought of raw eggs in a regular mousse, just makes me not to have it. i do prefer eggs in cakes, but no eggs for me in a mousse. i have developed a strong dislike for raw eggs in any food product. the reason being this that i have had umpteen times raw eggs dissolved in milk – my regular breakfast diet as a kid. and gosh… i hated it so much, especially with the raw smell of eggs. till today there are some things, i just cannot eat, coz i was forcefully fed it or forcefully made to have it. god forbid everybody these kind of eating nightmares. 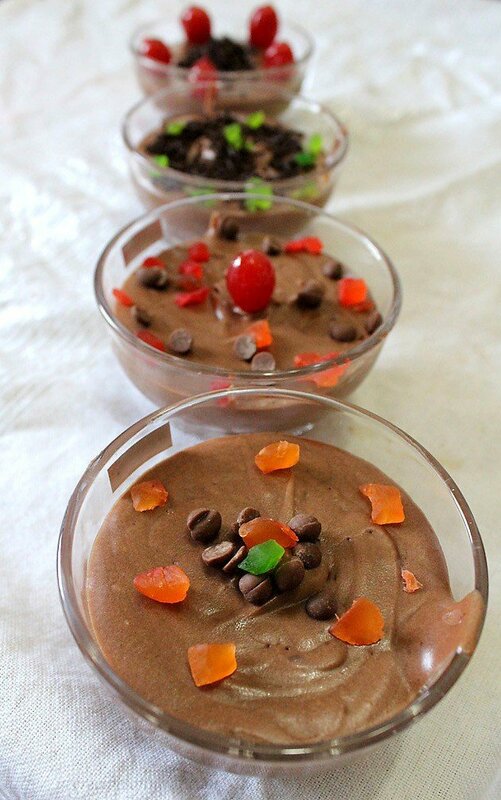 i was not sure how the second recipe – that of this eggless chocolate mousse would turn out. i was keeping my fingers crossed and was hoping that the mousse should also not fall flat… and… it did not. the mousse was well set and was a lovely dessert to have after a nice lunch and dinner. 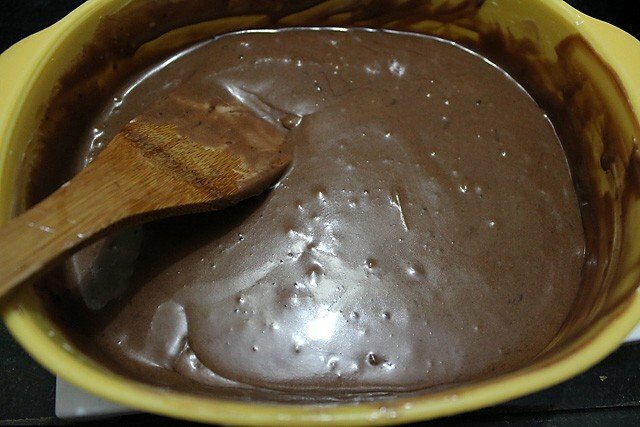 the original mousse recipe is made from dark chocolate. i made it from milk chocolate. also, in the original recipe, rum is used. we don’t add any liquor to the food we make. hence, i have added apple juice instead of rum. you can use any fruit juice, but remember the mousse will have the flavor and taste of that fruit juice. if you do not want rum or fruit juice, then add water instead. 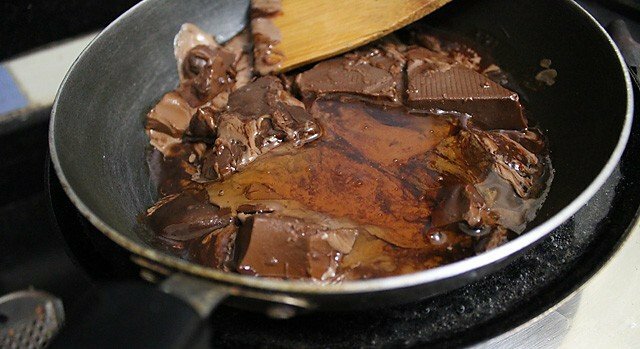 melt the chocolate, golden syrup and rum together in a double boiler till you get a smooth mixture. don't overcook. cool slightly. 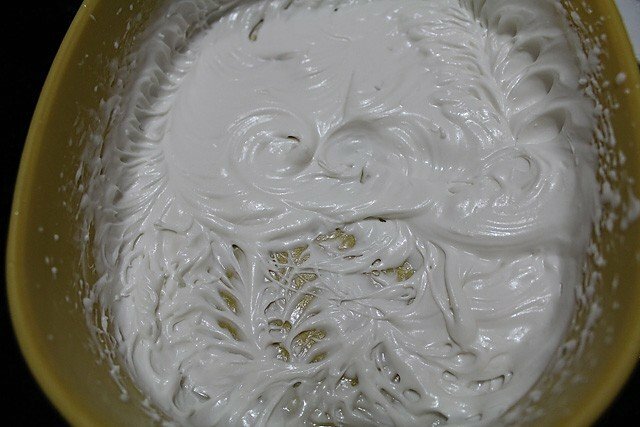 whilst the mousse mixture is cooling, begin to whip the cream till you get soft peaks. fold the cream gently into the chocolate mixture. 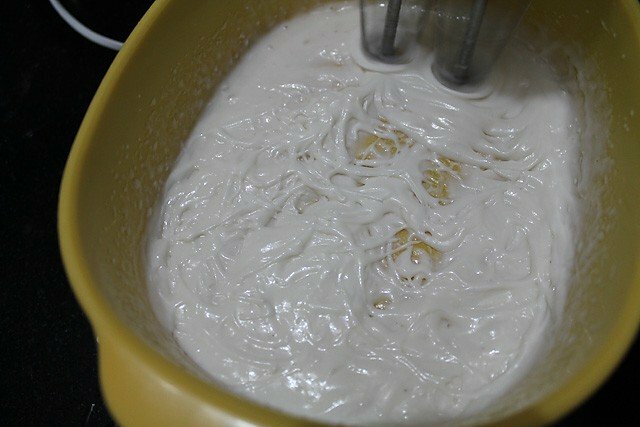 once you get a uniform even mousse mixture, pour the mousse in bowl or glasses. refrigerate for 4-6 hours or till the mousse is set. 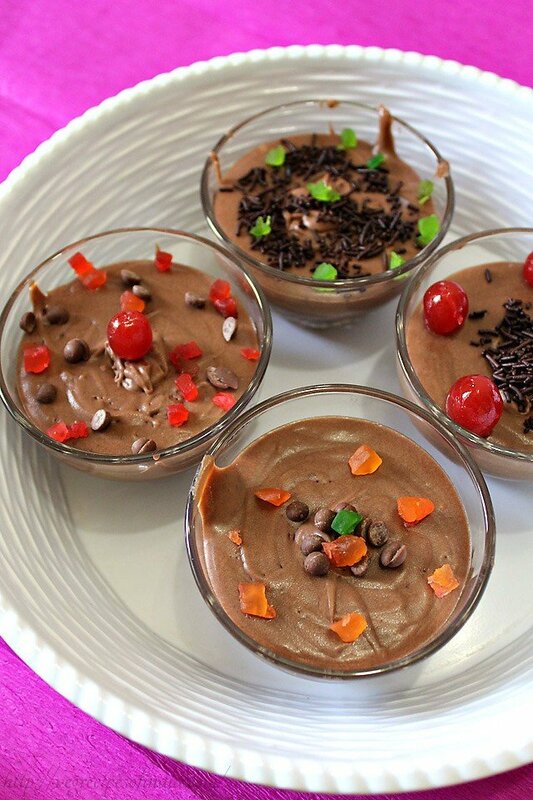 decorate the eggless chocolate mousse with your favorite garnishings. 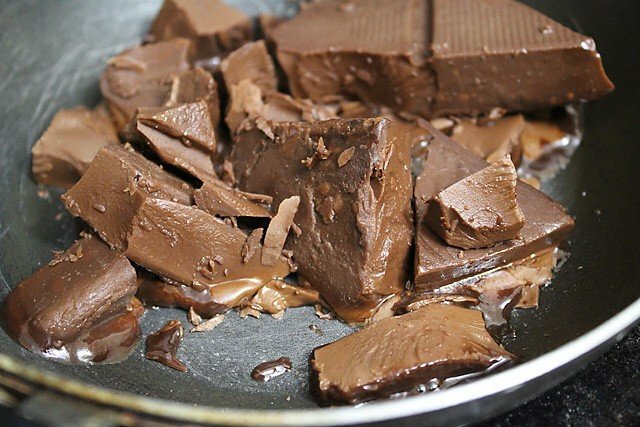 1. chop the chocolate and begin to melt it in a double boiler. 3. and begin to melt gently over heat to a smooth sauce. let the chocolate sauce cool down at room temperature. 5. till you get soft peaks. 6. fold the cream into the chocolate mixture or fold the chocolate mixture into the cream. 8. pour this mixture into stemmed glasses or small bowls. tap the bowls or glasses gently to make an even surface. 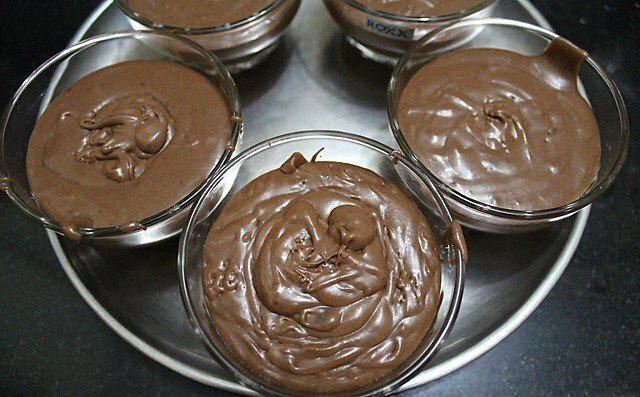 9. refrigerate chocolate mousse for 4 hours or till the mousse is set. decorate the mousse with chocolate shavings, tutty fruitti, cherries, choco chips, fruit slices, wafers, nuts, dark chocolate sauce.. whatever you like and fancy. serve the chocolate mousse made with love to your loved ones. thanks sravs for the feedback and glad to know. hope you had a great day. happy cooking. it has been cooked too much. the chocolate just needs to be cooked till its melted. i realized that later, but i didnt have the heart to throw away all the chocolate. I was making the dessert for my son’s birthday party. So what i did as an experiment is i thawed the crumpled chocolate and mixed the whipped cream and blended all of it together. It became very soft and airy. 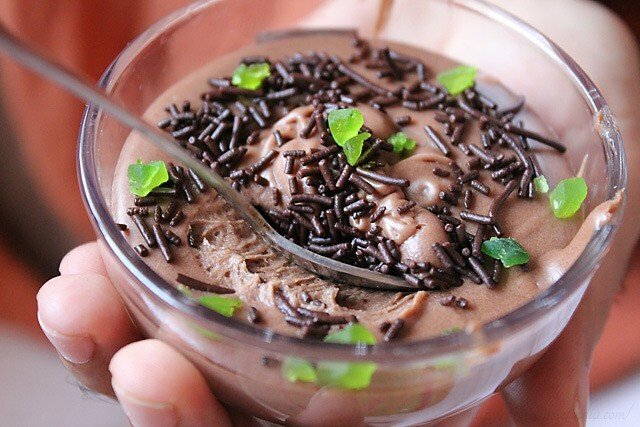 i poured it into each bowls and set it in the fridge for 3-4 hours and voila, i made lovely chocolate mousse. The children loved it so much and they were amazed that it was home made. they even went and told their mommies about it .. i was so delighted with my experiment. I cannot thank you enough. i get the courage to experiment and learn so much from you. thanks for sharing this preeti. i am so happy you did this. also glad that the kids liked it. 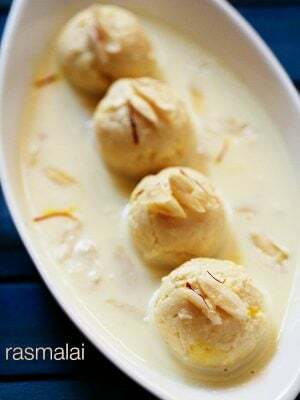 even i hate to throw away food especially baked goods or desserts, if it does not turn out well. i also keep on experimenting. what you did was really good and innovative. thanks again. yes the chocolate has to cooled at room temperature. if you add hot or warm chocolate, then since the cream is chilled and cold, the melted chocolate will solidify. i will add this point in detail in the post. golden syrup is available in the market. i have never made it at home, but on the web i did find some recipes. golden syrup can be easily skipped. thanks for sharing the feedback divya. Can v skip golden syrup, should v have to replace it with any other ingredient , if yes, measurement pls. Fresh cream at room temperature? you can skip golden syrup. its basically a sweetener and used for thickener. you can add powdered sugar instead. addition of sugar will depend on the type of chocolate used. 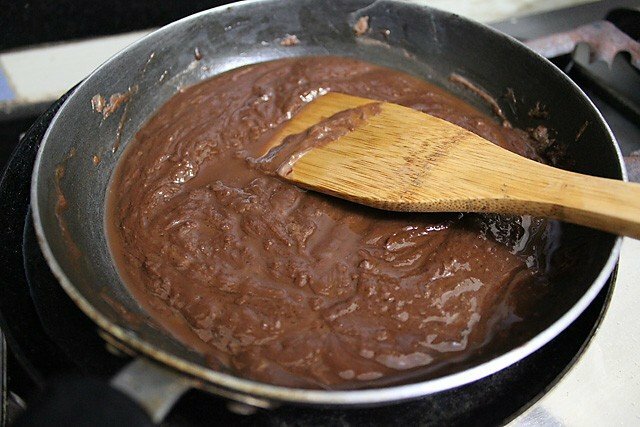 if using milk chocolate which are sweet, then 1 to 2 tablespoons powdered sugar is fine, but for semi-sweet or bitter sweet you will need to add more sugar. fresh cream is chilled. thanks divya. amul cream can be whipped. but just that it takes a lot of time to whip it. Hi! 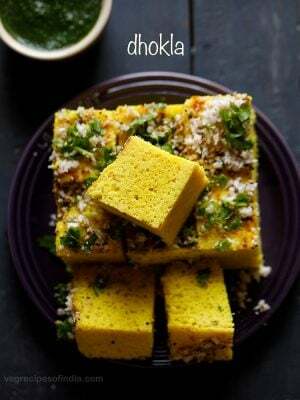 I have many recipes from your blog and they turn out to be very tasty! 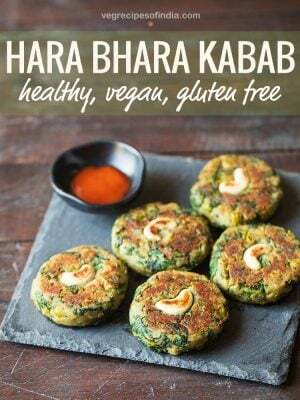 I had a doubt regarding the golden syrup used in this recipe… What is the use of the syrup here? As i do not have the syrup, is there any suitable substitute? 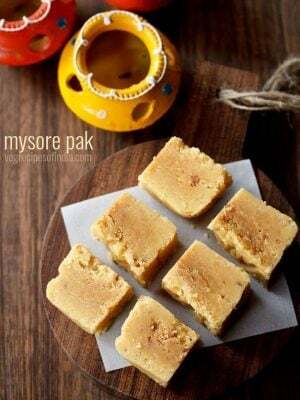 it is basically used as a sweetener and for thickening. 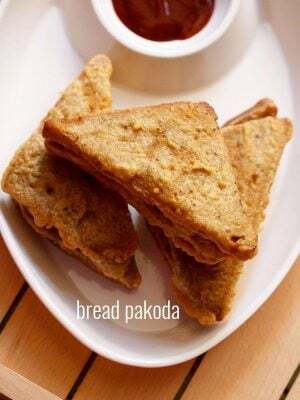 just add powdered sugar or icing sugar instead of golden syrup. Not tried but reads good. What is the golden syrup? thanks. it is a thick syrup made from sugar. thnakyou sunny for your feedback and your kind words 🙂 god bless you. thanks amrutha. there is no substitute for golden syrup. just add 3 to 4 tbsp of powdered sugar. you can also add honey. but add honey once the chocolate mixture cools down. honey should not be heated as it becomes toxic, when heated. I am such a huge huge fan of your blog. 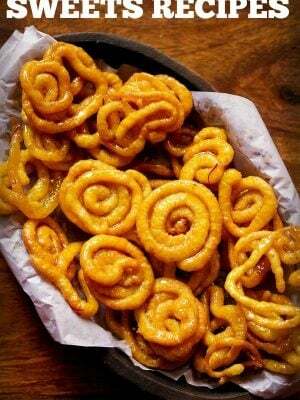 I had 2 queries..how do we prepare this golden syrup..is there a readymade option available in the market?? 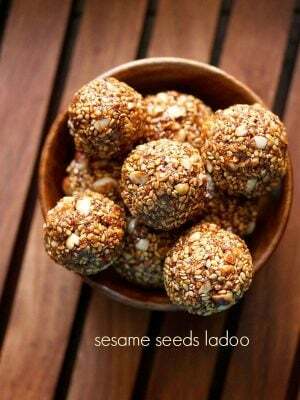 Abt the chocolate, how much is 2 cups in grams..is it500gms? thanks rhea. golden syrup is commercially made and i don’t think can be made at home. you will get it in super stores. in cups, the chopped chocolate should be around 420 to 440 grams. it is a thick syrup made from sugar. 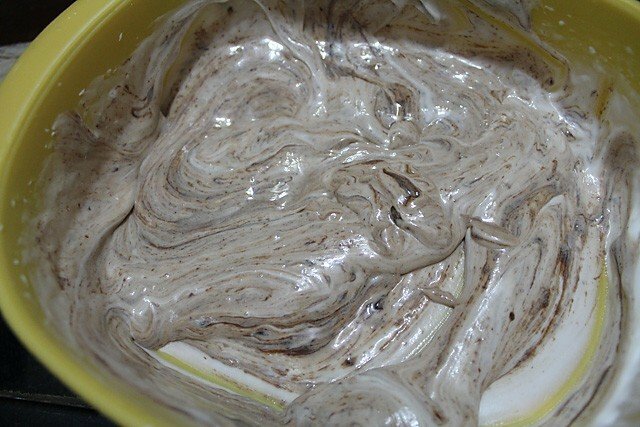 Can I use cocoa powder instead of chocolate? In this recipe chocolate is required. Yum! This mousse looks scrumptious. I love the recipe too. i liked it very much as i don’t like the smell of raw eggs.